Result : Rangpur Riders won 9 wickets. Player of the Match : Ravi Bopara (Rangpur Riders). 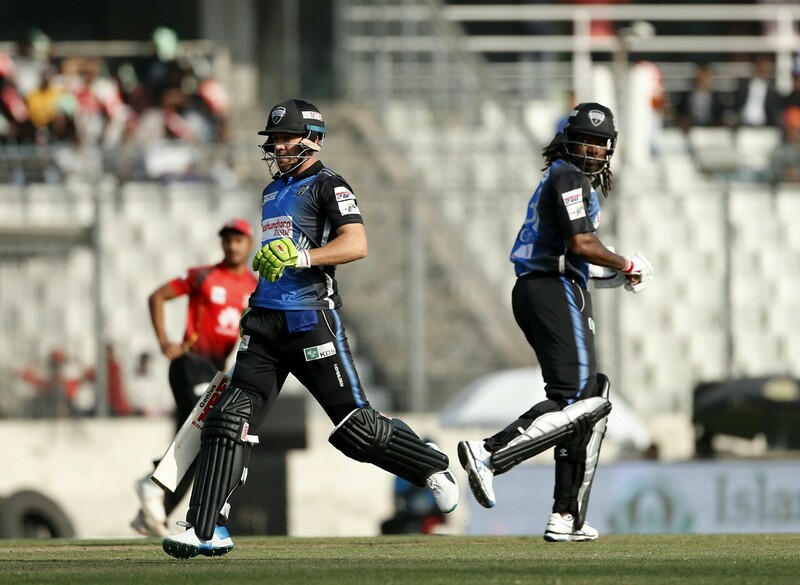 Rangpur Riders clinched a comprehensive 9-wicket victory over Comilla Victorians in their last group stage of BPL 2019. Both teams will again meet each other in the Qualifier 1 of February 4. Two teams were already booked their places in the playoffs as the top two teams of the points table. So both the teams went onto resting some of the players for this match. Rangpur Riders introduced young leg-spinner Minhajul Abedin Afridi who played his debut match in BPL. But the big match between the two sides ended as a one-sided contest after the Victorians were all out for only 72 in 16.3 overs. Player of the match, Ravi Bopara was the standout bowler by picking up 3 wickets for 7. Minhajul Abedin also bagged his maiden BPL wicket with the wicket of Sanjit Saha for 2. Riders then chased down the target convincingly with 9 wickets and 63 balls in hand. Chris Gayle found some form with his unbeaten 35 and his partner, AB de Villiers also remained unbeaten on 34 off 22 balls in his final match for the Riders in the season. Sanjit picked up the only wicket for 32.